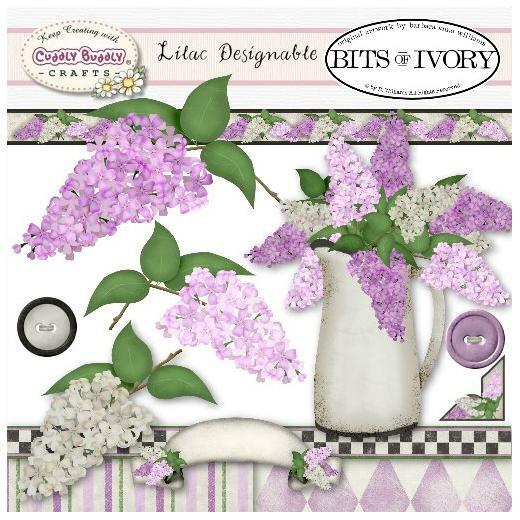 Lilacs by Barbara Anne Williams is a collection of may flowers or lilacs in purple, pink and white. 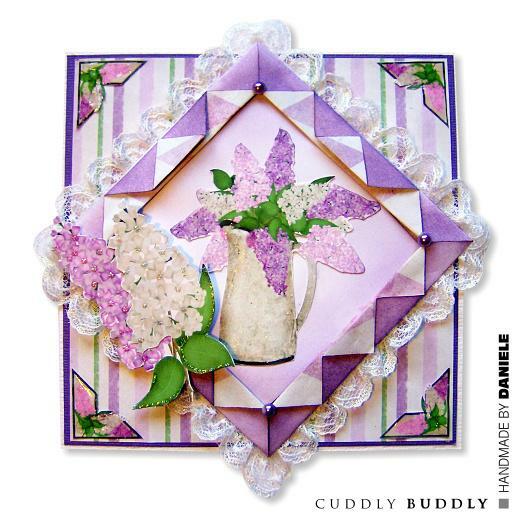 Each colour is an individual image and then the blossoms are also arranged together in a rustic pitcher. Coordinating buttons, banner, photo corner and borders along with a both striped and harlequin 8x8" background "papers" complete the set. The 300 dpi .png and .jpg images give you high print quality for your scrapbooking, crafting and card making projects.